Christmas was SO BIG at the Zhodino children’s shelter this year, you’ve just GOT to widen your browser to the max … to take in all the photos! Click here for a heartwarming Christmas celebration with Kristina and the kids. One big, beautiful – and unusual – family! 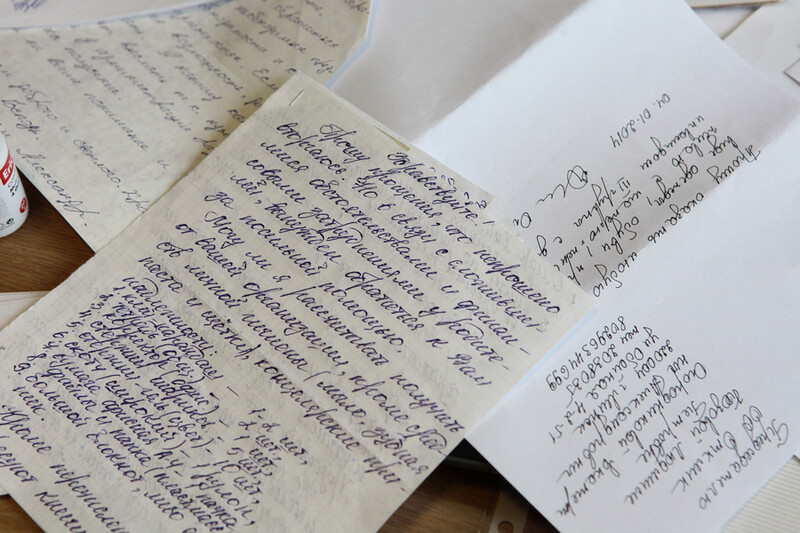 Click here for the first of Kristina’s photo reports from Belarus. New Thing provided $73,000.74 in 2013, including $27,604 for special projects. We served 6,700 individuals personally, plus many thousands of others through 120 organizations. We received and distributed 21 loads of donated food and goods, a total of 232 metric tons, with a total value of $176,000. Our humble thanks to everyone who gave in 2013 to help us share God’s love in such practical ways with needy people all across Belarus! God bless you! THANK YOU to all who clicked “Follow” to receive photo reports and updates automatically! 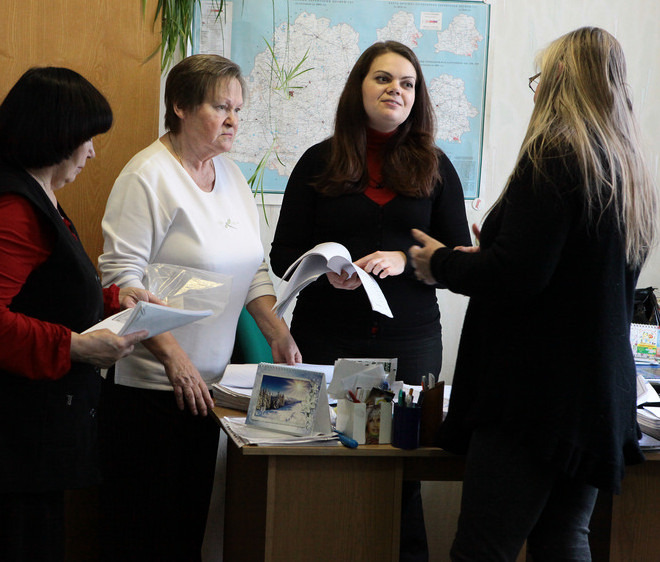 And thank you again to all who helped us reach out with God’s love in practical ways to the needy ones of Belarus in 2013. • and replaced our aged warehouse with two brand-new 40-foot storage units. All of this on top of keeping our “Response of the Heart” team going strong, bringing some 200 tons of donated food and goods into the country and distributing it to the poor and homeless, the blind and the disabled, those who were sick and those who were lost and alone. We say these words over and over. But for children who are nearly blind, it’s not so easy. If somebody says “Look at this,” they can’t. With a tremendous machine I’ll simply call a “magnifier,” a nearly-blind child can see any object. Not just computer images — actual objects. and for the first time in her life, a child will be able to see what you and I see. 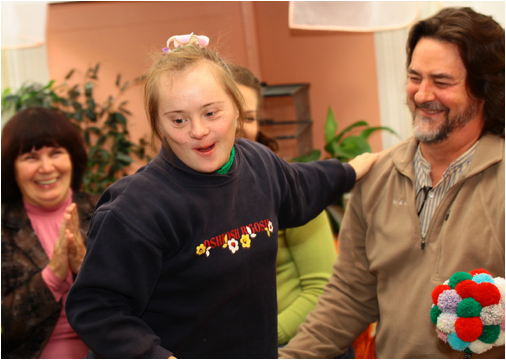 At the Molodzyechna school for the visually impaired, there are 200 children. We can’t help those who are totally blind, but many of these kids have some slight vision. We gave an awesome Christmas gift: literally, the gift of sight. Generous friends of New Thing gave a total of $3,500 toward this need. I am grateful for every gift. Thank you so much for your warm response. I couldn’t leave Belarus without visiting my beloved homeless friends in Minsk. Here’s my final photo report for this trip…. I think you’ll look at these children in a cool new way…. Please widen your browser to the max to enjoy the photos fully. Scoliosis doesn’t stand a chance here! 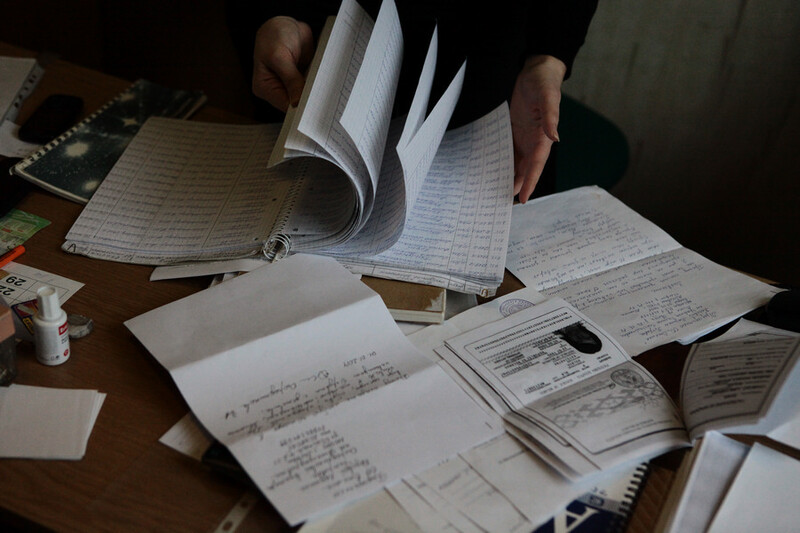 I’ve posted a new photo report from a boarding school near the Lithuanian border. I delivered the books to the children and their families. Greetings from Karl Marx Street in Minsk! I’ve posted a photo report from the children’s shelter in Zhodino.